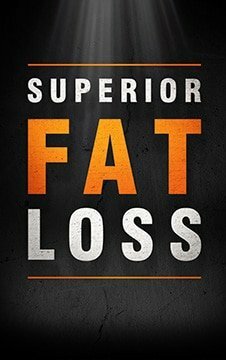 If you’re reading this, then you are probably fairly new to weight training and looking for the best workouts and routines for beginners like yourself. Good, that’s exactly what you should be doing, and I’m going to provide you with a few proven sample beginner workouts at the end of this post. However, before we get into the actual specifics of those routines, there are a few important things that you need to know about beginner workouts and beginners in general in order for your results to be as positive as possible. First, before you start looking for the best beginner workouts and routines, you need to make sure that you actually are a beginner. If you are, then a weight training plan that is geared towards beginners is definitely what will work best for you and it’s definitely what you should be using (as opposed to something more advanced, which would be terrible for you at this early training stage). But if it turns out that you’re not a beginner, then you’d be way better off using a program that is geared toward intermediate or advanced trainees. So, I guess the first question we need to answer is: What the hell is a beginner? As I’ve previously mentioned (Beginners vs Intermediates vs Advanced), I and most others consider a beginner to be anyone who has been weight training for LESS than 6 months consistently and intelligently. And obviously, anyone about to start a weight training routine for the very first time is a beginner as well. Once again, that’s 6 months of consistent and intelligent training. I don’t care if you’ve been training inconsistently for the last decade (or just in an incorrect way where your results were nonexistent). If you haven’t been following some sort of intelligently designed weight training routine for the last 6 months, then you are most likely a beginner, at least for a short amount of time. This also includes people who DID train consistently/intelligently at some point in their life, but stopped for a significant period of time. In most cases, you are considered a beginner all over again. Now that we know what qualifies a person as a beginner, it’s time to go over the proven guidelines that should be met by all workouts and routines designed for beginners. One thing you’ll notice about most beginner workout routines is that they will almost always have a lot in common. Why? Because there is a very specific list of weight training guidelines that have been proven to work best for beginners. And, any intelligent beginner program aims to meet them all. Higher frequency (usually 3 times per week). Primarily comprised of basic compound exercises and very little (or nothing) else. No advanced methods or techniques. A huge focus on consistent progression. Whether you realize it or not, all beginners essentially have the exact same goals. Sure, someone might be more interested in losing a significant amount of fat, and someone else might be more interested in gaining a significant amount of muscle. Someone else might just want to get stronger, and someone else might just want to be more fit and healthy. Those goals are all fine and good, and any intelligently designed beginner program WILL make each of them happen. But, they are NOT the true goals of a beginner. See, the true goals of a beginner generally involve becoming better at weight training so you can then become better at reaching your other weight training related goals (muscle, tone, strength, fat loss, etc.). Fastest improvement of motor learning, coordination, and proper form. Fastest improvement of work capacity, volume tolerance and recovery. 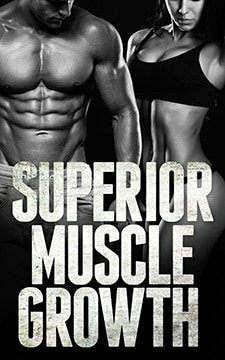 Fastest improvement in building up a base level of strength, muscle and endurance. At the beginner stage, these are the goals that are truly important. In fact, it’s reaching these goals as a beginner that makes those other goals (increased muscle, strength, tone, fat loss, improved health/fitness level) begin to happen rapidly pretty much as a side effect. Remember that list of guidelines I mentioned before? Well, they are guidelines because they allow these goals to be reached at their fastest and most consistent rate. Now that you know how to tell if you are indeed a beginner, what guidelines a beginner workout routine should typically meet and what the purpose of those guidelines are, it’s time to recommend some routines that take all of the above into account. Quite possibly the most often recommended beginner routine of them all (especially for people looking to get as strong as possible as fast as possible), you really can’t go wrong with Mark Rippetoe’s Starting Strength program or any of its variations. Here’s another of Mark Rippetoe’s proven beginner workout routines. This version is slightly different than the original Starting Strength program mentioned above, and I personally think the exercise selection is a bit more ideal for more beginners than Starting Strength is. Well, first you learned how to create the most effective workout routine possible, and then you learned how to create the ideal diet plan to support it. You’ve now just been given some recommendations for what I (and most others) consider to be the most highly proven/effective routines for beginners which you can either learn from or, better yet, just use as is.